Titan Productions is a student run organization. The crew reviews and selects potential performers/programs; market, plan, and produce the events and all relevant components; and evaluate all aspects of the programs upon completion. 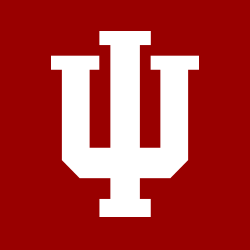 Titan Productions is Indiana University of South Bend's programming board. Titan Productions is comprised of producers and crew. Both of these are composed of students here at IUSB that love being involved in our campus's community. We bring in a variety of entertainment to ease the stress of class! From musicians to comedians and even as outrageous as hypnosis, there is always something going on. We average an event every week of a semester, so there is always plenty to do. We have open meetings almost weekly. Check us out on Facebook and come to one of our meetings. These meetings are open to all students and they are encouraged to stop by and find out more about Titan Productions. And most importantly, Titan Productions wants to hear from you! The PRODUCERS work hard to keep students informed on events. From managing social media and communications to creating and posting flyers in all buildings around campus to help keep the students of IU South Bend informed of upcoming events. The Titan Production CREW members assist with spreading the word, occasionally passing out flyers for events, managing the Titan Productions social media channels, taking photos of events, and more! Being a member of Titan Productions has many benefits and we encourage you to check out our Get Involved page.